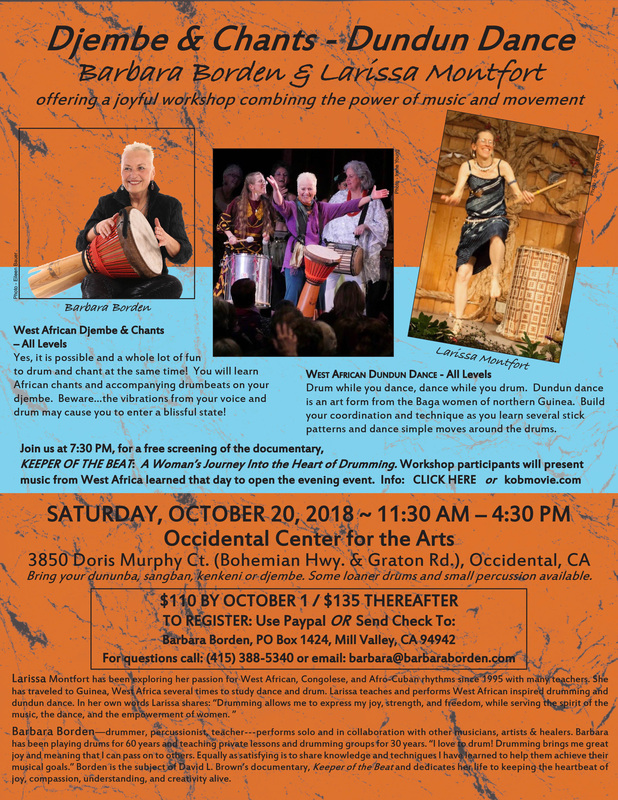 Keeper of the Beat: A Woman’s Journey Into the Heart of Drumming. 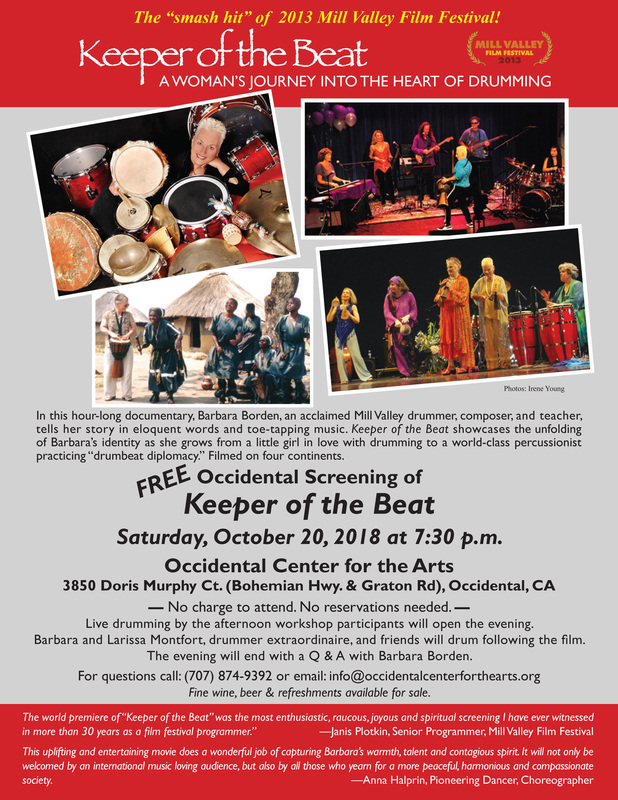 Closing the evening will be a Q & A with Barbara and more drumming. Between events take a short walk to dine in Occidental, famous for its many fine eateries. No charge to attend. No reservations needed. The great heartbeat of life! This group is for women only who are brand new beginners or would like a refresher. 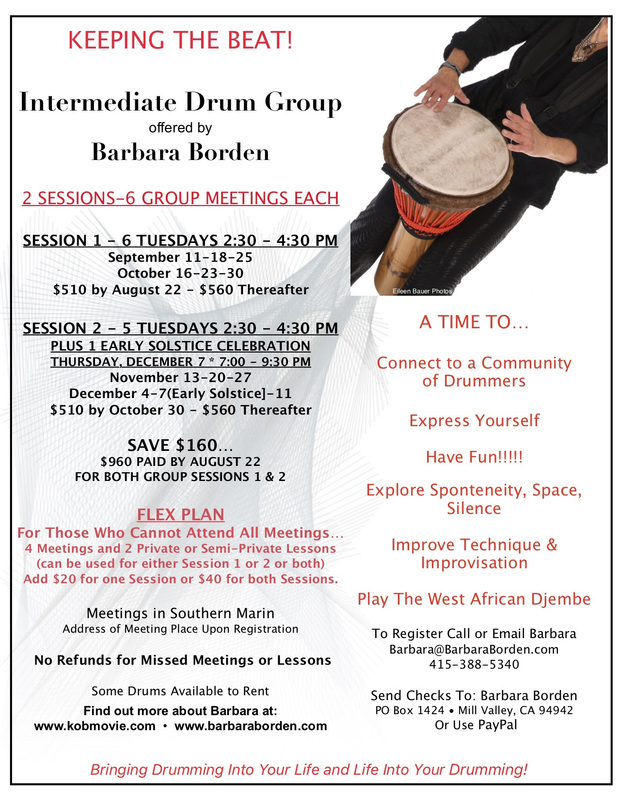 For drummers who have: played long enough to know how to get the 3 main sounds from the djembe; can play West African rhythms; and are comfortable jamming. 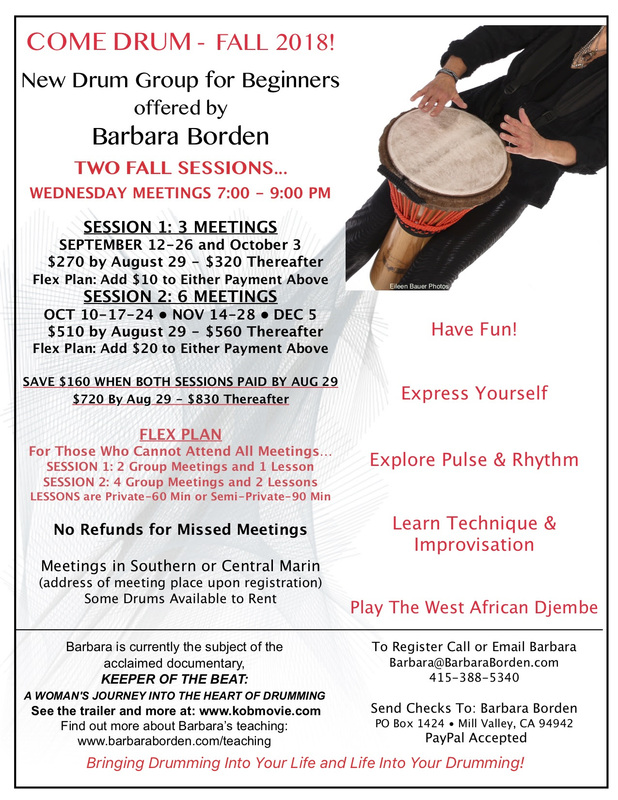 If you have not studied with Barbara, you will need a 30-minute consultation. 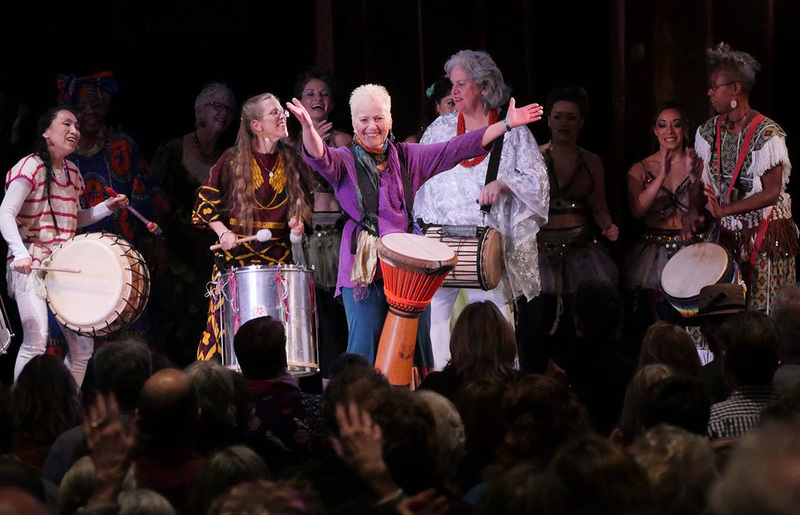 joys and sorrows of what it means to be fully alive. 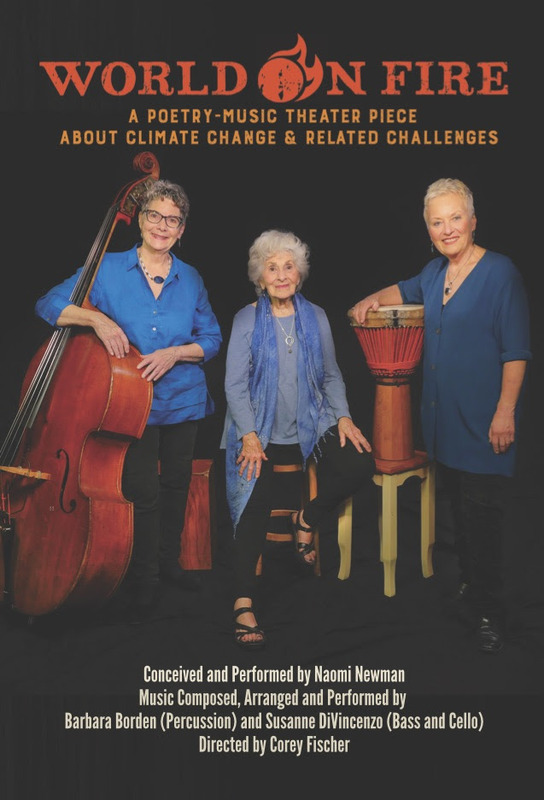 LOVING THE EARTH: Healing the Planet Through Mindful Engagement.